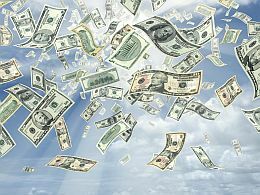 In this video, Abraham-Hicks is coaching on the Guidance System and how to access your Vibrational Escrow – where you dreams are – in order to manifest your dreams. Don’t forget to read the summary below the video. 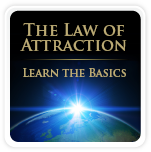 In order to manifest your dreams, you need to close the gap between your physical form and your non-physical form, by using your Guidance System; your emotions as indicator. Your Guidance System is telling you if you are on the right track or not; if you are making decisions that are in harmony with your inner being or not. You are source energy in physical body. The variety that surrounds you inspires constant new awareness of what you would prefer. Each of those preferences whether you express them in words or not, flows out of you like a “rocket of desire” into a Vibrational Escrow. When that happens, the broader non-physical part of you becomes the vibrational equivalent of what you are wanting. In other words, your dream flows automatically into your Vibrational Escrow. Everything that you have been asking for, already exist in your non-physical form. This “place” where all your dreams exist, is called your vibrational escrow. who you have become by virtue of all that you have lived (non physical part of you), including what you have been asking for that is now in your vibrational escrow. So if you want to receive what you have been asking for, your physical human part of you and the broader non-physical part of you, have to become a vibrational match. We were all born with a Guidance System and it is telling you if you are letting yourself be who you already have become, or not. By listening to your feelings, you know if you think and speak in harmony with your non-physical part of you. Your emotions are an indicator of where you are in terms of what you want. If you feel good, your feelings tell you that you are letting yourself be all that you have already become. When your physical you and your non-physical you vibrates the same, you feel that you are in harmony. If you begin to establish an understanding of how you feel right now, in relationship to how another “better feeling thought” feels, you will understand how to direct your thought. You will choose thoughts that feel better and continue this process of choosing “better feeling thoughts”. This is what you have to do if you want to access your Vibrational Escrow and start receiving whatever you have been asking for. In order to receive all that you have been asking for, it’s important to understand that your emotions work as an indicator that is telling you where you are in relationship to where your dreams are. By recognizing the two aspects of you – the physical and the non-physical – and by paying attention to how you feel, and choose thoughts that feel better – you will be able to access your Vibrational Escrow and thereby become the receiver of all that you have been asking for. Esther and Jerry Hicks have written a book called “The Astonishing Power of Emotions” that can be very helpful for you, especially if you are coaching yourself and want to change your thought patterns in order to feel better and access your Vibrational Escrow. 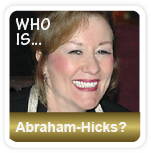 For more self coaching inspiration, see Abraham-Hicks Products.